The Acer Aspire E 15 E5-573G-79JP is powered by a dual core Intel Core i7-5500U processor, a unit we find on most mid-range notebooks these days. With a benchamrk score of just under 4000 points, the CPU is adequate to handle every daily activity and even more serious multitasking. The laptop also comes with a 1 terabyte capacity hard disk drive, enough to hold any music, game, video or picture collection with extra space to spare. Unfortunately, the Acer doesn’t come with a solid state drive installed. It is recommended to buy one if you favor overall system speed over storage capacity. 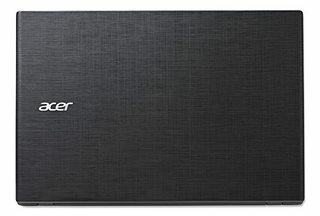 Considering the 8 gigabytes of system memory the Acer is equipped with, and the presence of the GeForce 940M dedicated video card with 4 gigabytes of DDR3 RAM, we’d say the Acer Aspire E 15 E5-573G-79JP is also a good contender to the more expensive gaming rigs on the market. 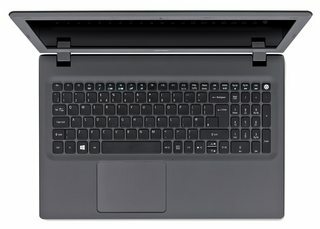 With just two rather inexpensive upgrades, such as upping the system memory to the maximum allowed of 16 gigabytes and fitting a 250 gigabyte SSD, the Acer will transform into a full fledged gaming laptop, capable of rendering even the newest of games at decent frame rates. The screen boasts a full HD resolution, so movies and games will be beautifully displayed on the 15.6 inches LED backlit display. Other important features include a new generation of Wi-Fi card (up to 3 times faster as the old 802.11 b/g/n protocol), Gigabit Ethernet and a VGA display port, great for connecting the laptop to non-HDMI external monitors. Battery life is unimpressive. Five hours of operating time isn’t that bad, but combined with the 5.3 lbs weight, the Acer becomes a bit unpractical to carry around for long distances. So it’s not the most portable notebook out there, but it’s a great deal considering the standard hardware it comes with. 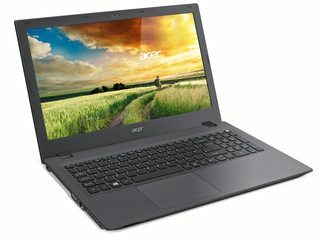 The Acer Aspire E 15 E5-573G-79JP is a good device for the proposed price tag, delivering impressive performance at the cost of portability and design. It’s unassuming and may feel bland to some users, but at the end of the day it will get any job done without freezing, lagging or crashing. You can play movies, games, edit photos, browse the internet and even render graphics on this mid-range hero.